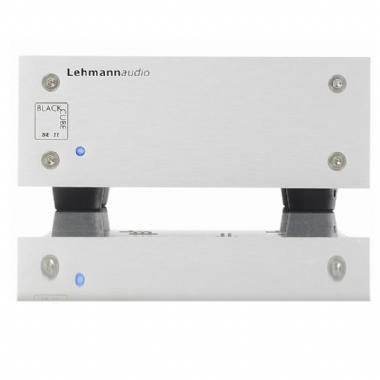 The Lehmann Black Cube SE II Phono Pre Amplifier comes with top notch technology that points towards higher price points, like all Lehmannaudio electronics. Because of the small outer dimensions, the SE II audio section can be placed next to the turntable. This minimizes loss due to cable length. A brand new feature that is built into the SE II is the entirely passive bass filter, that is a great help when tayloring the lower corner frequency of the vinyl reproduction to personal needs. 16 different filter curves can be realized. "This is a true audiophile phono stage and, partnered with equipment of equal quality, the results are remarkable."